Culinary oil is a type of oil meant for cooking purposes. Whether you are on a normal diet plan, weight-reducing diet plan, or any other special diet, doing away with culinary oil is almost impossible. In fact, no single kitchen would be complete without culinary oil in this modern era. 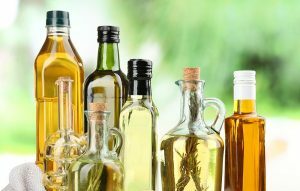 Sunflower oil, olive oil, canola oil, palm oil, mustard oil, and corn oil are just but a few types of cooking oil. Others include soybean oil, rice bran oil, almond oil, and sesame oil. Let’s focus on the latter category. This is a type of cooking oil extracted from the seeds of soybeans, and it is useful in the kitchen as a vegetable oil, as well as oil for salad dressings and shortening purposes. It can also serve the purpose of margarine. Many people like soybean oil because it is versatile: it contains an imperceptible odour that enhances the natural flavour of almost any food. Extracted from the husks and germs of rice, rice bran oil is a very stable and clean type of culinary oil used for frying, salad preparation, deep frying, and dressing purposes. It is rich in antioxidants and vitamins- it has a high nutritional value. Health-conscious consumers fancy this oil because it does not contain any trans fats. Although almond oil is majorly used in cosmetics due to its ability to soak into the skin without leaving behind any significant residue, the oil is also applicable for cooking. You can bake and flavour any dish using this oil. It is obtained from sesame seeds, and its ability to fight viral infections is what makes it stand out from other culinary oils. Sesame oil also contains antibacterial and antifungal properties, and this explains why it is widely used in the cosmetic industry. You can use this oil to cook and deep fry.